Sony introduced its Walkman portable cassette player thirty years ago this week, kicking off a revolution in the consumer electronics industry by changing the way people enjoy music. Until its introduction, the only way people could enjoy their own choice of music while on the go was to lug around a larger, heavier cassette player, but the Walkman brought music to the belt-clip, purse or pocket. The first Walkman, the TPS-L2, cost ¥33,000 in Japan and US$200 in the U.S., but despite the relatively high price tag the reception was enthusiastic. In 1980 The Wall Street Journal called the Walkman "one of the hottest new status symbols around" and noted that prospective U.S. owners faced a month-long wait because of a backlog in orders. The player had several features that were innovative for the time including dual headphone sockets, independent volume control for the left and right audio channels and the distinctive orange "hotline" button on the top that faded the tape output and engaged a microphone so the listener could talk to someone nearby without stopping the music or taking off their headphones. The design and much of the mechanics of the TPS-L2 was based on a model that came out in 1978 but was never branded as Walkman. The TCM-100 was a portable cassette recorder aimed at people who needed the ability to record audio clips on the go, such as business people and journalists. The TPS-L2 brought the technology to the mass-market. With the success of the Walkman a product line was born that would go on to become one of the world's best-known brand names -- but that global branding almost didn't happen. Fearing that "Walkman" wasn't proper English, Sony initially chose the brand name "Soundabout" for the U.S. market, derived from the word walkabout, and "Stowaway" for the U.K. It wasn't until a year later, in 1980, that Walkman became the global brand name. Within a few years the products were developing fast. The WM-2, introduced in 1981, was notable for its styling, which was much more modern that of the TPS-L2 and also offered in several colors to suit personal tastes. By 1983, just four years after the launch of the Walkman, Sony introduced the WM-20, which was the same size as a cassette case. Then in 1984 the Walkman line expanded with the introduction of the D-50, the first CD Walkman. For much of the eighties and nineties Sony reigned supreme in the personal audio space. It sold hundreds of millions of Walkman players and was the standard by which most competing products were judged. However, things started to change with the arrival of digital music. Sony's first Walkman to accept digital files, the NW-MS7, was introduced in Japan in December 2000 and went on sale elsewhere the following year. The product tied Sony's MemoryStick flash media format with its ATRAC file format and MagicGate copy protection. Sony didn't know it at the time but the formula would prove disastrous to Walkman's leading position in the portable audio market. The introduction of digital music didn't just mean more convenience for users. It lowered the entry barrier to the player market and suddenly companies that had never made a digital audio player before could throw together a few chips, add some buttons and a display -- or more likely find a Taiwanese contract manufacturer to do this for them -- and launch their own player. Users were rallying around downloaded music or ripping CDs into the MP3 format and there was no shortage of companies lining up to sell them players. 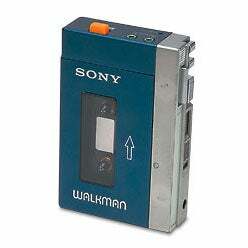 In contrast Sony was requiring users convert MP3 files to ATRAC before they could be loaded on the Walkman. Apple's entry to the market in 2001 with the iPod was the first step in a what would be a short journey to replace Sony as the most fashionable brand name in portable audio. In recent years under CEO Howard Stringer Sony has been attempting to reinvigorate its Walkman line and sales have been rising. Sony sold 7 million Walkman digital music players in the financial year that ended in March, up from 4.5 million in 2006. For the current financial year it expects to sell 6.3 million units, a lower number due in part to the poor economy. 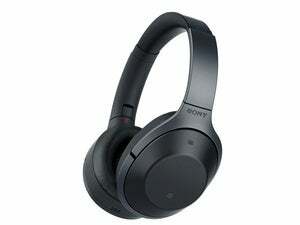 Sony's latest flagship model, the NW-X1000, packs noise cancelling, a bright touchscreen display, mobile TV, and the ability to surf the Internet and watch YouTube videos. It's already on sale in major markets and supports Sony's ATRAC format but also MP3, Windows Media and Linear PCM in addition to AVC, MPEG4 and WMV9 video files.